These photos really make my heart happy. Every family wants a 'nice' family picture where everyone is looking at the camera and in addition to that, these are the type of photos that I love to capture for my Sweet Lemonade Photography families. The natural, playful interaction between siblings, the fun between a dad and his daughter, the connection between a mama and her babies. Focusing on the close-ups, the little habits and tendencies that you take for granted today but one day will miss. Like the genuine laughter a mom and son share while swinging around. Or the way your son wraps his tiny little fingers around your one strong daddy finger. The moments captured below are the types of moments I want to freeze for families. Because 'tomorrow' these kids will be teens like mine and wondering where the years have gone. You will be thankful to have images like these. Your children will be thankful to have these to look back on to help them remember memories of their childhood. The connection. The laughter. The love. The joy. The very best photographs. as she led us through two family sessions. 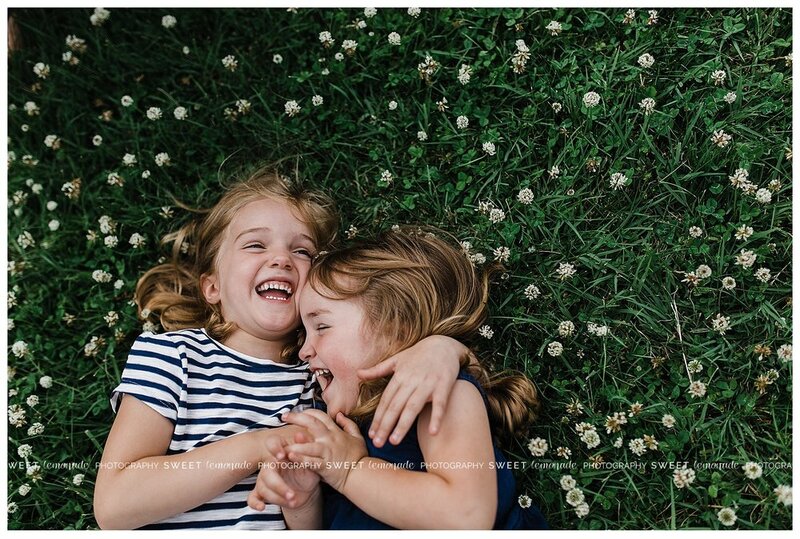 It sure was an incredible opportunity that fueled my excitement for capturing families by incorporating playful and natural ways to get genuine interaction like what you see here.
) and by keeping her focus on God, finding the positive in each day, and surrounding herself with supporting, loving and encouraging people she has turned those lemons into the sweetest lemonade. This blog has been created to share her heart, her adventures and find ways to bless others. You can contact her at heather@sweetlemonadelife.com or heather@sweetlemonadephotography.com.